My graduate thesis work involved using letters as structure and composition. I left working with type immediately after I completed my MFA in 2007 because I wanted to take some time to reflect upon the work I had done. The thesis time was intense and I really enjoyed the work I was doing – it was always my intention to return to it at some point. I was invited to participate in a show at the Lovetts Gallery in Tulsa, Oklahoma and have been preparing some work to mail in the next week. I decided to return to some of my letterform work as a theme for the pieces I am sending. 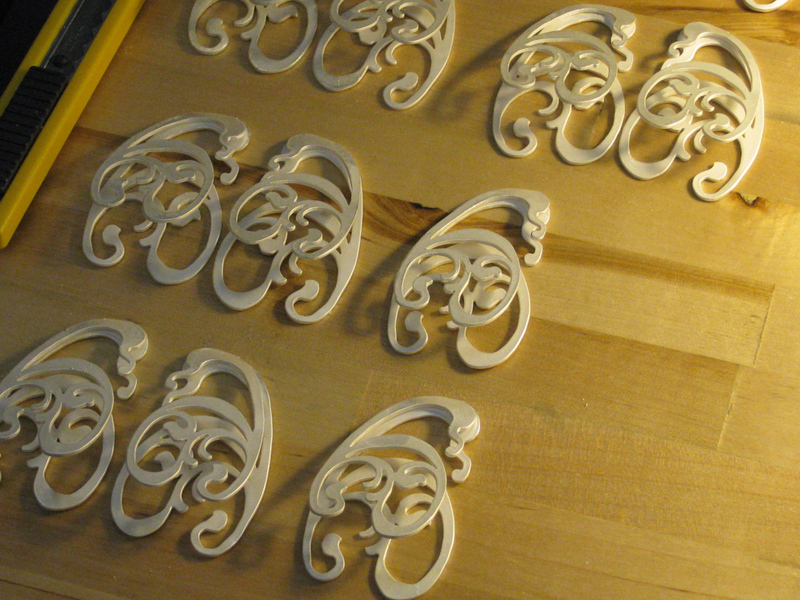 I wanted to make some simpler work while still being one-of-a-kind pieces. 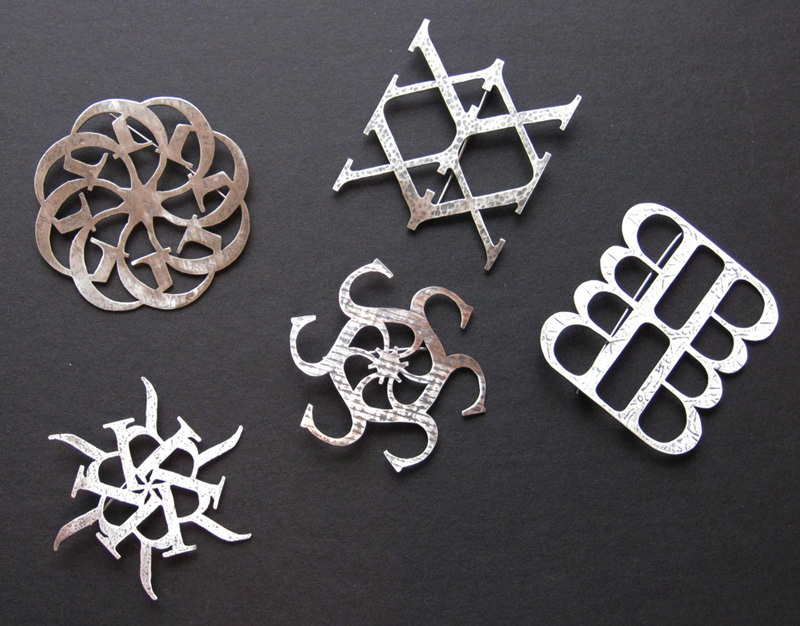 This weekend I completed this group of five letterform brooches. For those interested in type, the font I used is Bembo. They are a beginning. I’m actually leaning towards making a line of coasters using the complete alphabet in pattern form. I have some ideas as to how to make that happen and am considering pursuing it further. 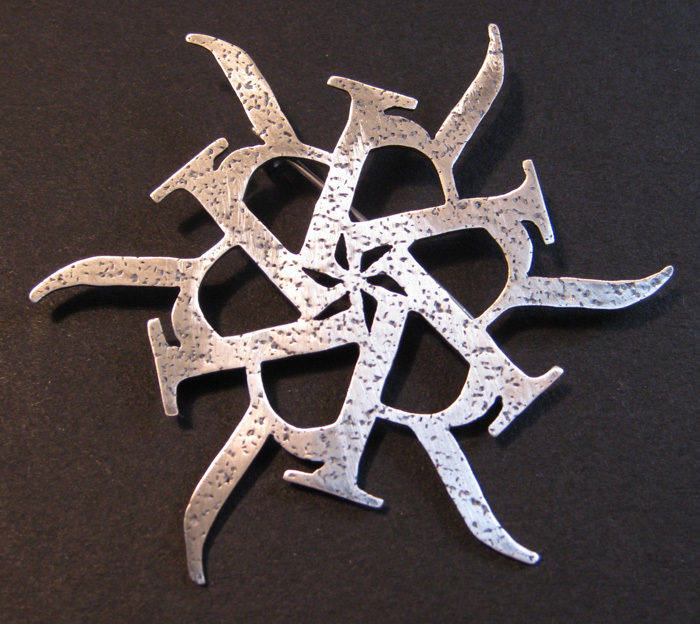 In the meantime, here are some quick snapshots of the finished letterform brooches. 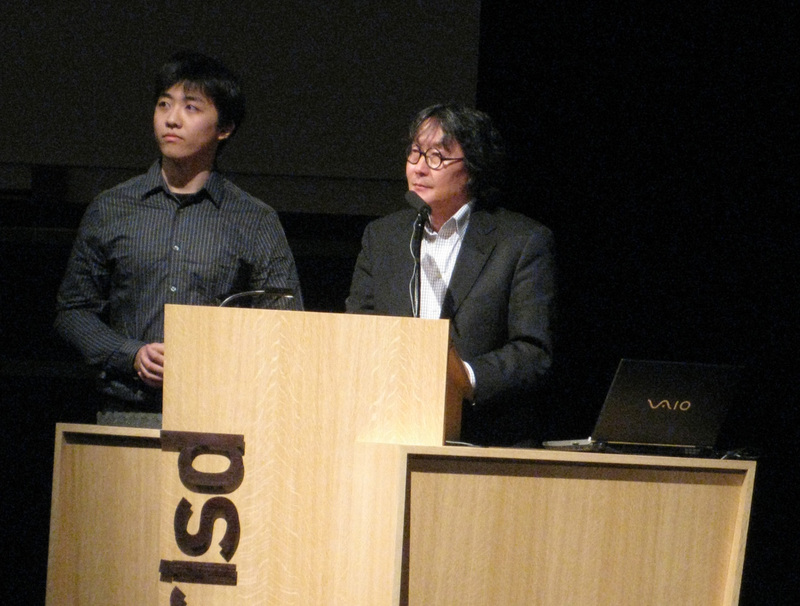 Xu Bing and an architecture student translator. 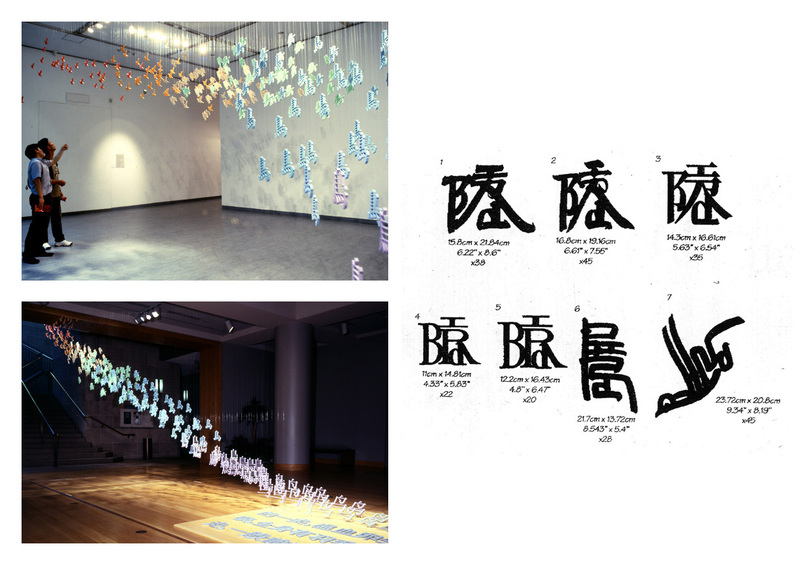 Last week I was able to attend Xu Bing’s lecture at the Rhode Island School of Design. I was introduced to his work during grad school in my Typography I class by my professor, Lucinda Hitchcock. As part of my graduate thesis, I researched his type installations so I was very excited to hear him speak. He was extremely impressive and I left the lecture all that more intriqued! 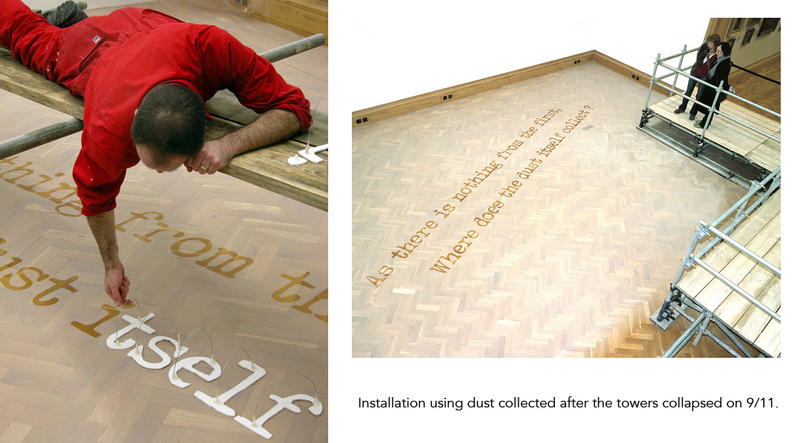 "Where does the dust itself collect" installation. My impression of Xu Bing is that of a scholar, whose articulate study of type and language questions the boundaries of how human beings communicate through not only spoken word, but also imagery. For several years, Bing has been creating a libary and storybook based on symbols he has collected at airports and other locations. His “modern-day pictograms” allow him to express content through basic pictures. His work is cleverly embedded with an underlying sense of humor and this particular study reminds me of symbols once found on walls of caves and other ancient structures. Example of Xu Bing's pictograph paragraph. The lecture culminated in Xu Bing showing pictures of his current work in China. He is creating two phoenix to be located in an elaborate hotel / office building. Because I work as an architect, I found this to be particularly fascinating due the fact that he is creating this project entirely from the scrap material leftover from the construction of the building. Using what would otherwise be trash, Xu Bing’s materials consist of metal, piping, plastic components, and other found materials. He is also lighting the work with selected dots of LED lights so that the pieces will be illuminated when it is dark outside. Described by Bing to be similar to the stars in constellations, he is picking points to light on each phoenix, thereby creating his own version of a nighttime sky. We were able to see a few of the pictures of the work in progress and I cannot wait to see the completed compositions! To learn more about Xu Bing, check out his website at www.xubing.com. 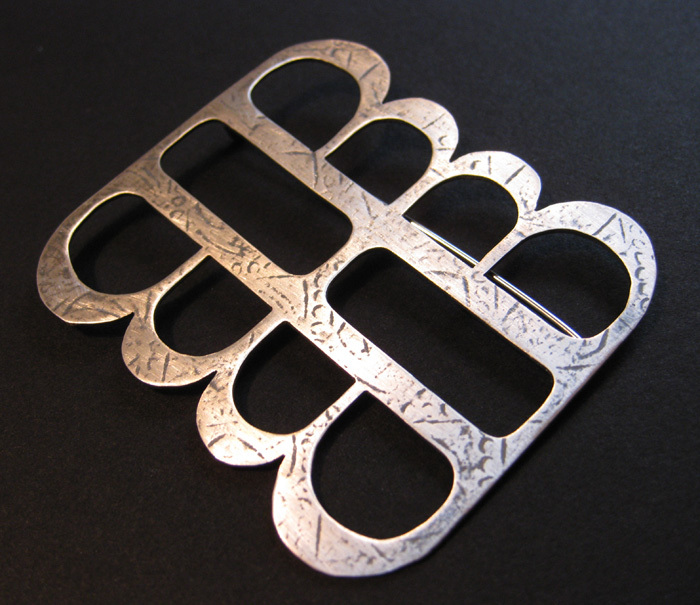 I’m busily preparing work for the American Craft Council Show held in Baltimore, Maryland at the end of February. 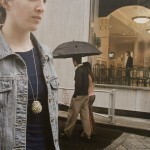 I am one of the 2009 Searchlight Artists and will be showing my work with 13 other emerging artists! 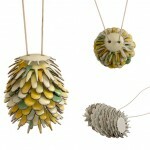 Laura Blanc, a senior at RISD has been interning for me and has been doing a terrific job. 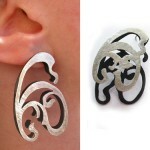 Below are images of some of the earrings we have been making. It’s been a lot of work and the process is slow, but I think things are moving along nicely! We still have a lot to do but I’m sure it will all come together in the next few weeks. 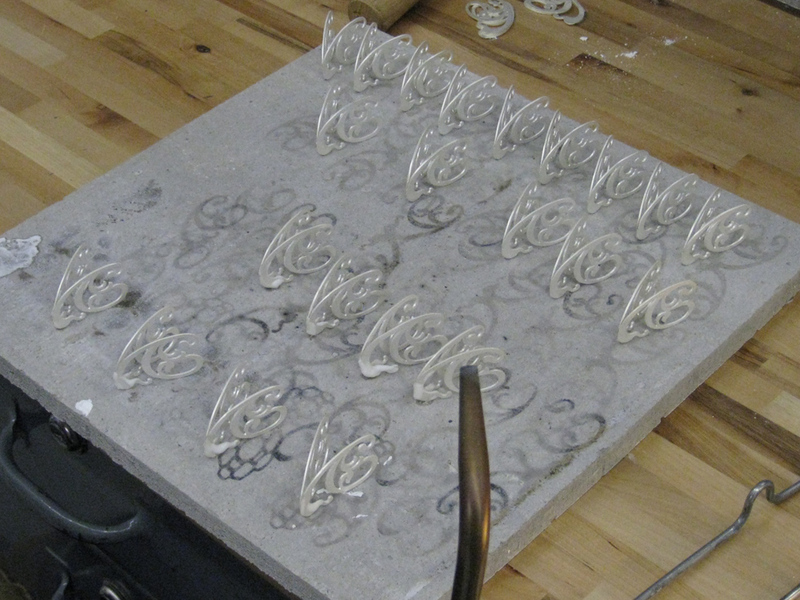 Line-up of pieces getting ready to solder. 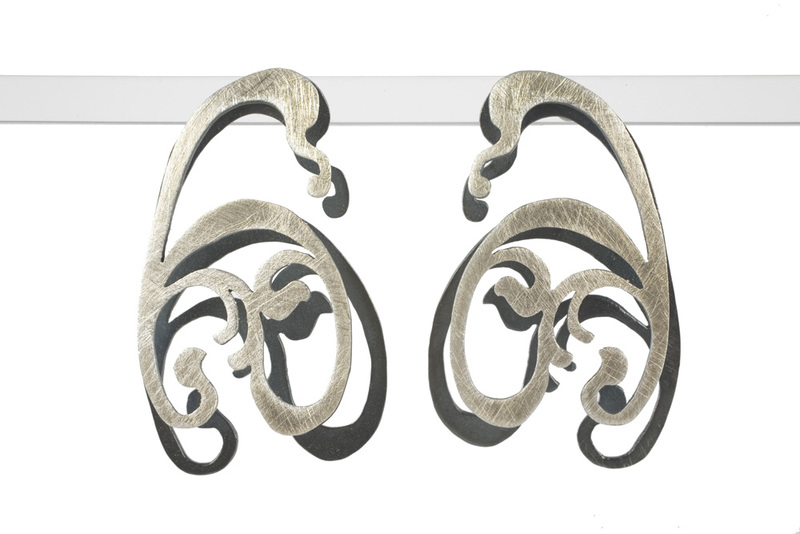 Detail shot of shadow earrings. 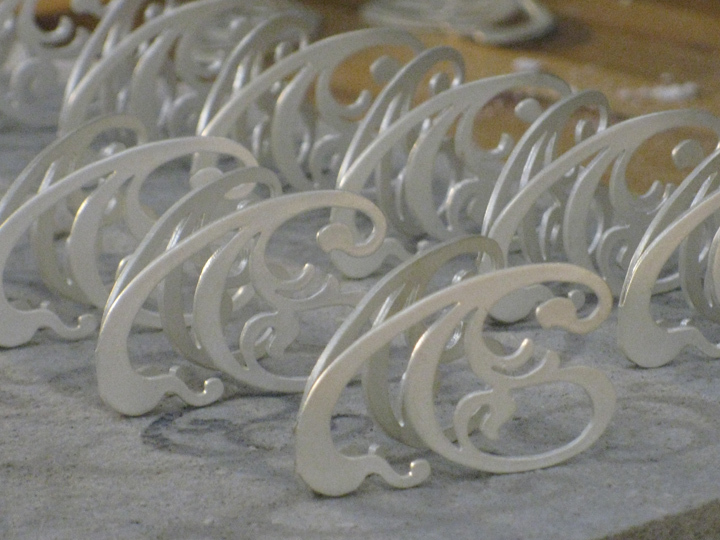 Pieces ready for ear posts! I’ve received various e-mail from people all over the place; England, Toronto, and throughout the United States. It’s been great to get some feedback for my work and hear from so many different people. Here are some other related images! 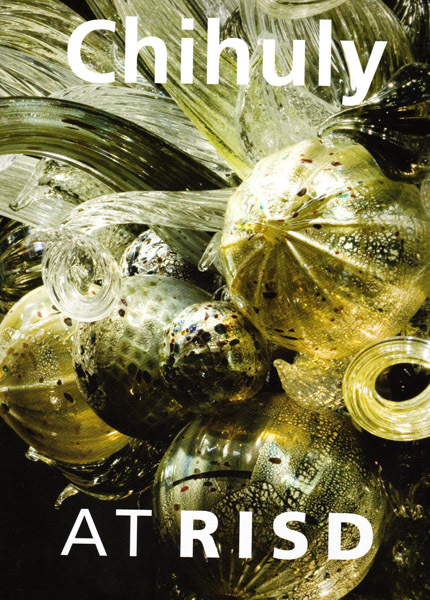 Tonight I went to the Dale Chihuly lecture at the Rhode Island School of Design. I was also able to meet Mr. Chihuly at a book signing immediately following the lecture. The new Chace Center is opening this week and I am looking forward to seeing not only Raphael Moneo’s building, but also the glass exhibition. A beginning of my thoughts, interests, what is going on, and just any general nonsense that intrigues me. It seems it is going to take a little figuring out for me to get this all started. I think creating the page is a start…….